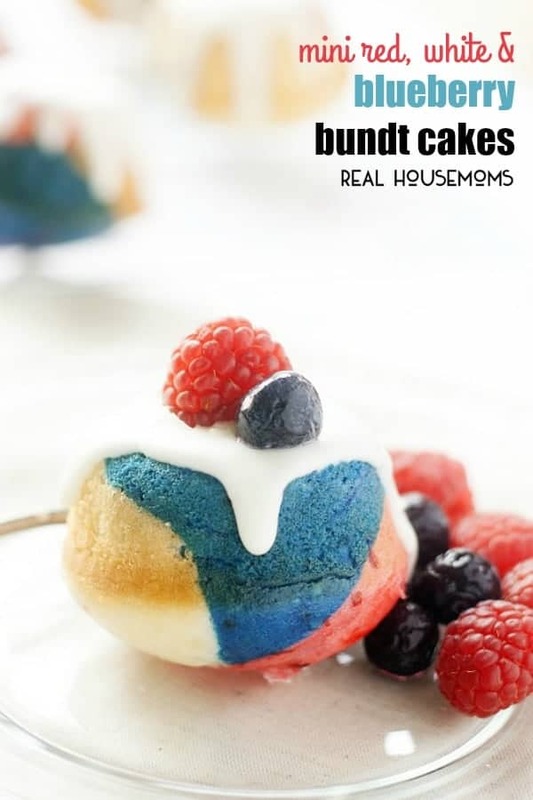 I am in love with all things red, white, and blue this summer, and these MINI RED, WHITE, AND BLUEBERRY BUNDT CAKES are sure to make a splash at your next get together! I am not normally a sweets person, but lately I have been baking mini bundt cakes like they are going out of style. 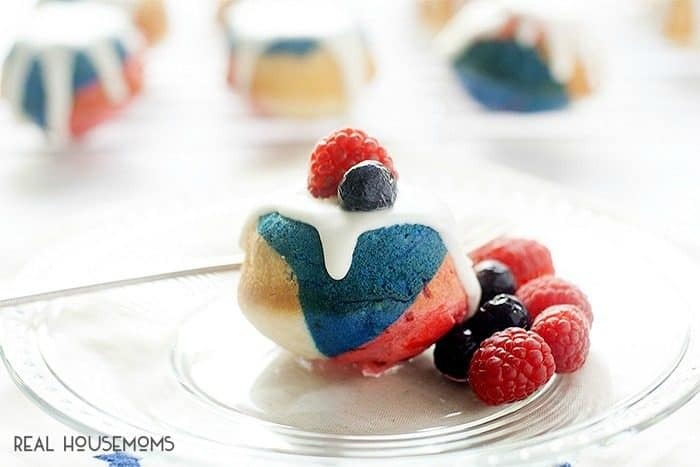 The kids absolutely flipped over these mini chocolate bundt cakes, but I am in LOVE red, white, and blue during the summer. So for memorial day, the 4th of July. 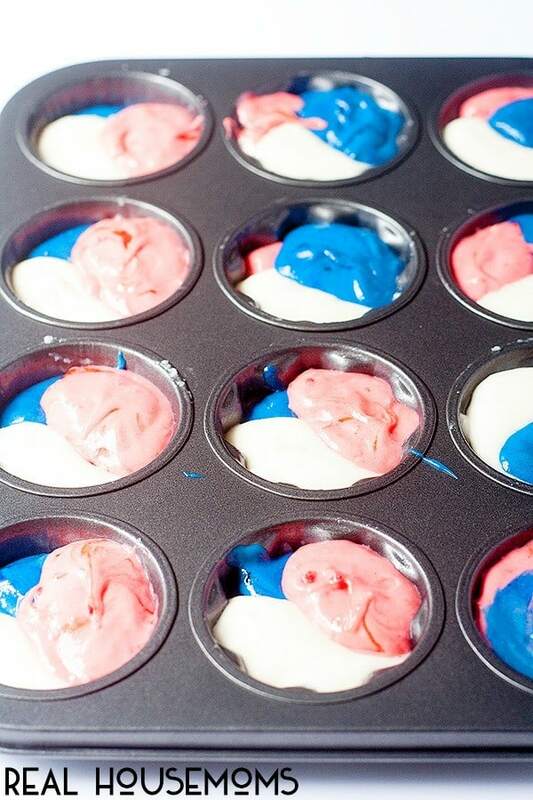 and pretty much any reason I can think of I will be baking these red, white, and blueberry mini bundt cakes. They are festive, delicious, and SO easy to make. You certainly can make your cake mix from scratch, but I used a box of white cake mix along with raspberry and blueberry pie filing. I did add just a bit of red and blue gel coloring to deepen the colors, but feel free to leave it out if you prefer. I don’t have much luck with large bundt cakes, so I always make mine mini. One box will give you 12 mini bundt cakes. You could also bake them as cupcakes, again you will get 12. 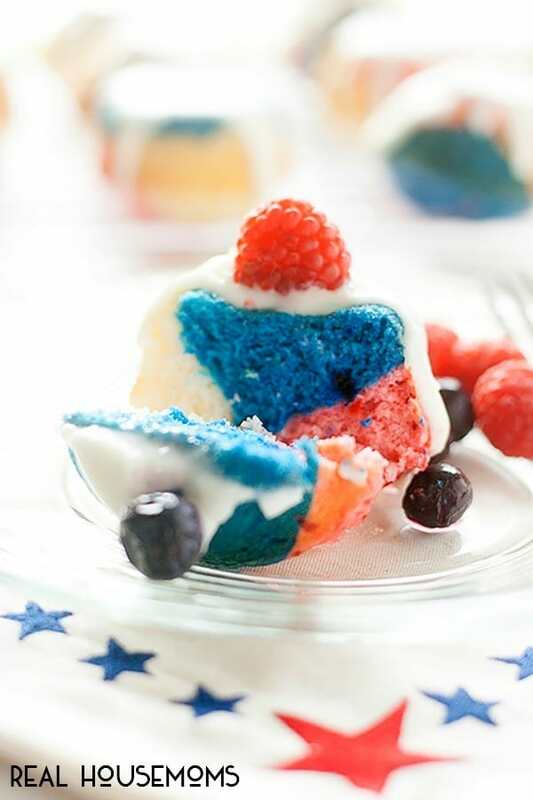 With a little glaze and some berries you have a fun and festive dessert perfect for any summer party or potluck. Wife, mom, food blogger, photography lover, chief dog walker, and chicken wrangler at my Folsom, CA suburban homestead, where it really is ALL about the food.